The decision to ask the public for help in finding a "blueberry bandit" involved in a truck robbery may have seemed like a light-hearted approach, but it helped spread the word, Hamilton police said Thursday. 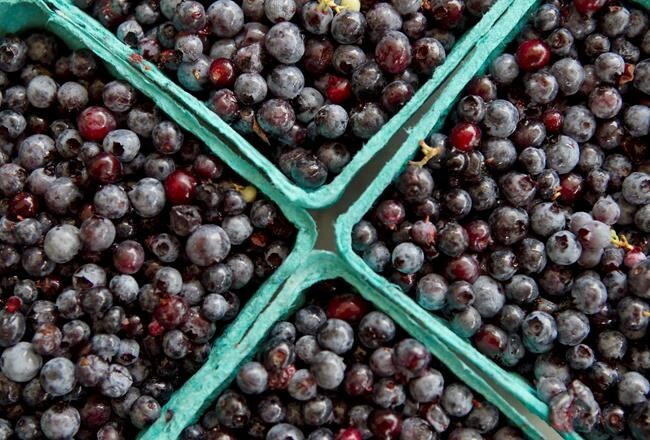 The incident took place on Sunday between 3 p.m. and 11:30 p.m., when investigators allege a refrigerated tractor-trailer containing an estimated $100,000 worth of blueberries and some other fruit was stolen. In a tweet sent out on Wednesday, police tweeted "Have you seen these berries?" and urged anyone with information to contact investigators. In another tweet they asked "Who is the blueberry bandit? In all seriousness. Anyone with information is asked to contact Detectives." A police spokesman said the force has engaged in a lot of back and forth with the public over the theft, and as a result the details of the incident are being disseminated to a wide audience. "It's doing what we wanted. It's out there and we're hoping that someone will come forward with a little bit of information because of that," Const. Claus Wagner said in an interview. "It's just to show that in policing, there is some lighter side to it and these are the types of thing we investigate." While no new information leading to an arrest has come to light just yet, the force is keeping the conversation about the blueberry theft going. When someone suggested looking for anyone with blue fingers or lips, the Hamilton Police Twitter account responded with "Somehow I think you're right. Keep a sharp eye for the 'Blues Clues' for us." In response to another person, the force tweeted "they say we might have the winter 'blues' but I didn't think it would go this far." Wagner noted, however, that the force still takes the theft of the trailer with blueberries very seriously. "That's a lot of money that company is now out of," he said. "Plus the trailer and the truck was stolen." Police said the transport was driven into the Toronto area. The truck has since been recovered but the trailer and the blueberries are still missing. "This is something a little more unusual," Wagner said of the theft. "Ultimately what we're hoping for is to get the trailer back for the company, because those trailers are very expensive." As for the fate of the stolen blueberries, Wagner said police weren't sure what to expect. "If a dessert bar opens up in Toronto, you're going to know," he said with a chuckle. "Right now the investigators are just hoping for any information."